While only 86 miles it does include around 8000ft of climbing. That is almost 3 times as much climbing as the Sant Salvador ride. So chose your group carefully. What group should I join? As we have Sa Calobra rides on Friday we have an alternative, slightly easier mountain ride, for those that might struggle with Legro’s Big One. 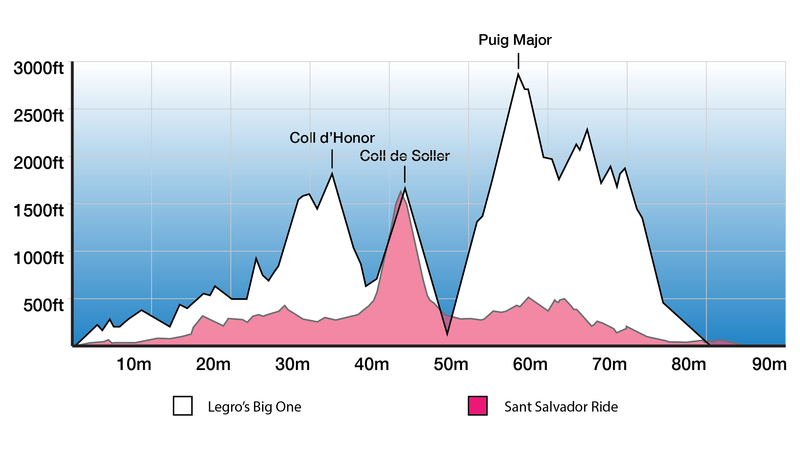 This ride includes 2 big climbs, Coll d’Honor and Selva. The mountains can be unpredictable so please remember to pack your gilet and take enough food/gels.